Keep your tools close at hand without cluttering up your workspace with the handy and durable Table Tidy Single Pocket by Tonic Studios! The package includes one pocket that can be used alone or together with the Table Tidy Main Caddy ton-1643e and the Table Tidy Double Pocket ton-1645e, both are sold separately. 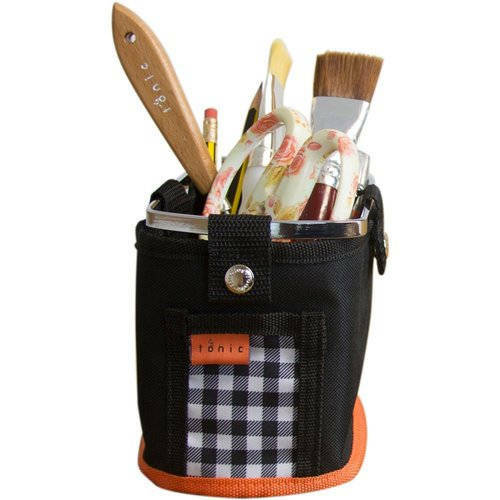 The Single Pocket features a reinforced base that safely stores sharp tools, scissors, brushes, pens and other essential crafting tools all sold separately. The fabric is removable and can be hand washed. The solid steel frame is beautifully finished with chrome.